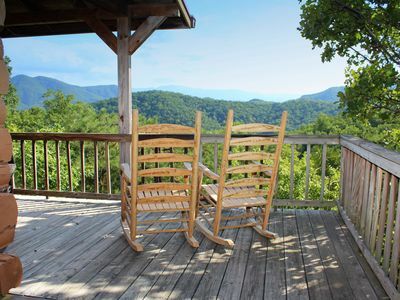 "Nine Mile View" Awesome Views, Secluded, $285.77 in free area attractions Tickets per paid Night. 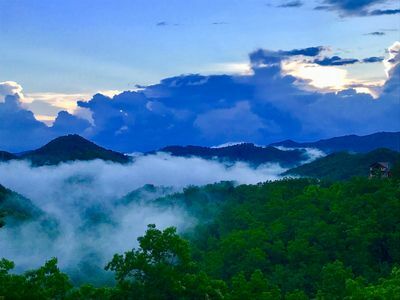 minutes from Townsend, 15 minutes from Pigeon Forge, Dollywood, Dollywood Splash Country, and 25 minutes from Gatlinburg. 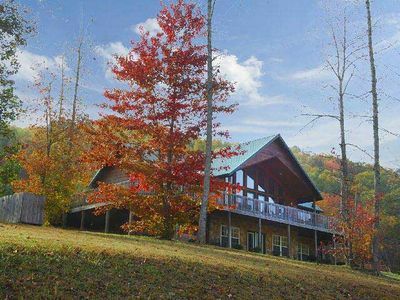 There are paved mountain roads all the way to the cabin until you reach the private gravel driveway. 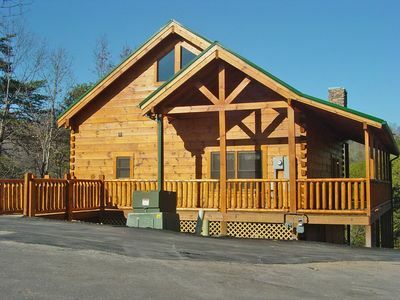 This cabin would not be considered motorcycle or trailer friendly and has parking for up to 3 vehicles comfortably. 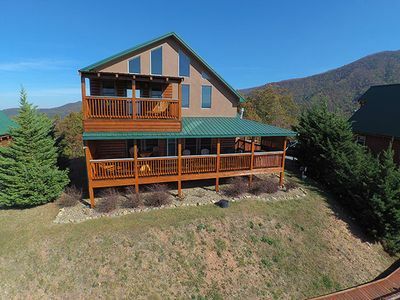 For those days you just want to relax, sun bathe or let the kids play in the water or go fishing this cabin also offers pool access with a catch and release pond at Honeysuckle Meadows Deli and Pool , which is located approximately 5 minutes from the cabin. 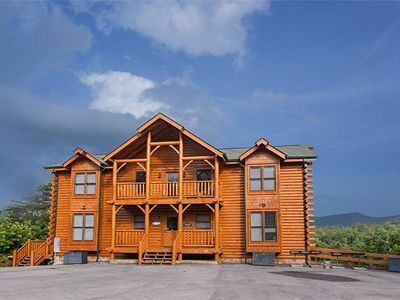 This gorgeous 3 bedroom 2.5 bathroom cabin is 3 levels and will sleep 8. 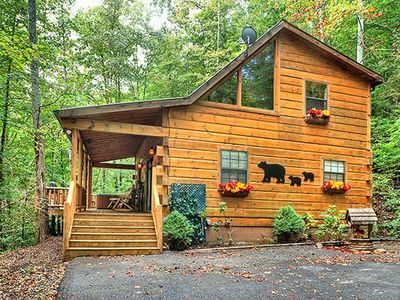 With only 6 steps to enter this beautiful all wood interior cabin, be amazed by all the comforts of home when you step inside. 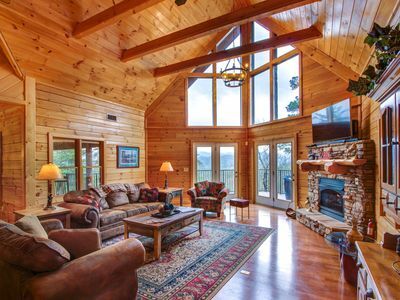 On the main level you will find the living room with a couch, 2 gliders, and a plush chair. 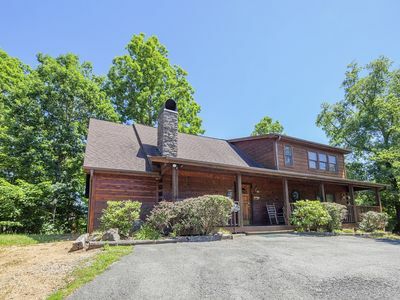 Watch your favorite show on the Flat screen TV while enjoying the wood burning fireplace on those cold wintery nights. 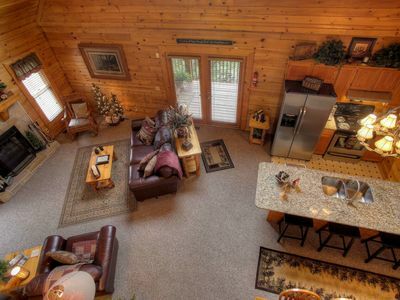 Adjacent to the living room, you will find a fully equipped kitchen with stainless steel appliances and dining for 6. 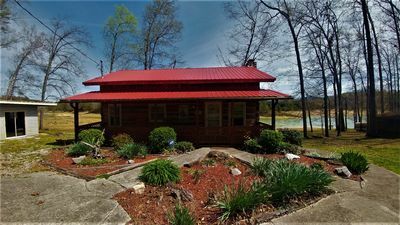 Also, located on this level is the Master King bedroom with a Flat screen TV and a separate newly renovated bathroom with a walk-in shower only. 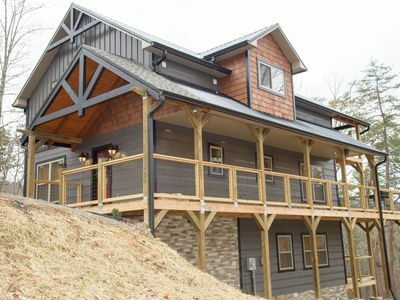 The upper loft area you will have a Queen size sleeper sofa and a table with 3 chairs for extra seating. 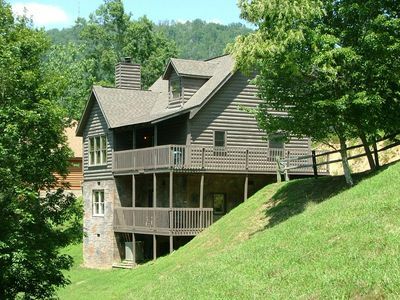 Just off the loft area is a Queen size bedroom with a Flat screen TV and a separate bathroom with a tub/shower combination. As you travel downstairs you will find a lovely game room with 2 high top round tables and 2 bar style chairs for each and for those who love to play a friendly game of pool, there is a pool table for your enjoyment. 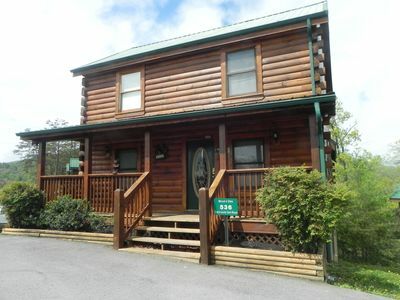 You will find another King size bedroom with a Flat screen TV and separate half bath on this level as well. 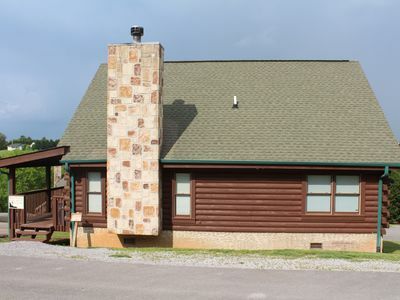 The laundry room with the washer and dryer is located on this level for your convenience. 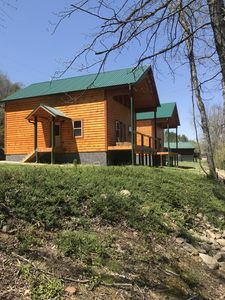 If you are looking for a great cabin to spend time with family and friends or wanting to get away from the hustle and bustle of everyday life, then look no farther than "Nine Mile View" for your next mountain vacation. What are you waiting for? 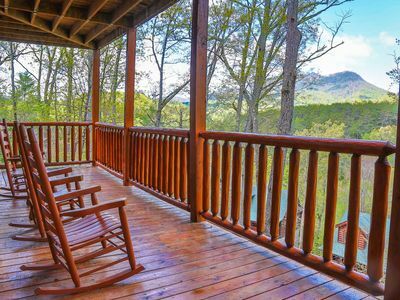 Call us today and book this gorgeous cabin!!!!! 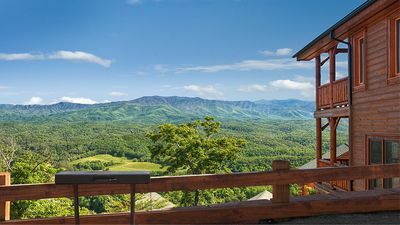 Valhalla Manor | Mountain Vistas | 2 Hot Tubs | Pool & Foosball Tables | Group Living Like Royalty! 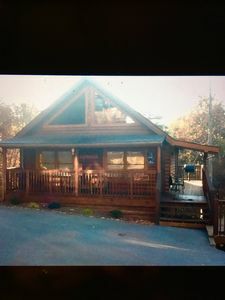 Ponderosa Close To Dollywood with free WiFi! 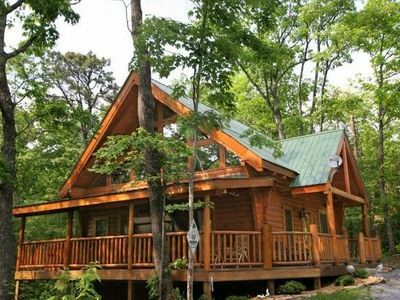 Dog-friendly luxury cabin with hot tub, game room, & wrap-around deck! 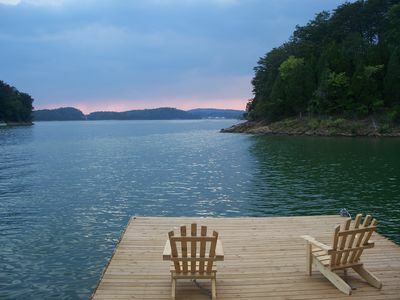 ERN817 - TRANQUILITY - GREAT LOCATION! CLOSE TO ALL THE ACTION!